We live in a world obsessed with identity. Everywhere we turn, someone is talking about “self-expression,” “self-identifying,” or “finding yourself.” And rightfully so, because the answer to the question “who am I?” is one of the biggest questions that we as human beings have to grapple with. It has profound implications for what we do with our lives, why we should be treated with dignity, why and how we will be in relationship, and ultimately, why we should be loved. On this point, the Church and the world agree. The question of identity is central to the human experience. The problem is that in our modern world we tend to build our identity on unreliable foundations. Often, we tend to identify ourselves not by who we are, but instead by what we do (e.g. “I am a teacher”), or what we desire (e.g. “I am gay”), or the group we belong to (e.g. “I am a Republican”). However, these ways of identifying ourselves never fully satisfy because they’re based on things that are ultimately passing. Jobs can be lost, desires ebb and flow, and groups fall apart. When we rest our identity on things that don’t last, we risk the despair and confusion that result when they inevitably pass away. We must, then, find our identity in a deeper place. The famous passage from the Second Vatican Council that was found in virtually every writing of Pope St. John Paul II can help us here: “In reality it is only in the mystery of the Word made flesh that the mystery of man truly becomes clear … Christ the new Adam, in the very revelation of the mystery of the Father and of his love, fully reveals man to himself and brings to light his most high calling” (GS, 22). In other words, the response to the deepest human question “who am I?” is found in the person of Jesus Christ of Nazareth. Christ establishes and reveals to us the first and most fundamental identity of every human being: You are a son or a daughter of the Most High God. The question of identity is at the center of the 2018 Catholic Women’s Conference this October. In choosing the theme “Daughters of the King,” the organizers have made a wise move. In a culture where the question of identity is everywhere, they’re inviting women to discover and embrace the one unshakable, permanent and lasting identity that they’ve been given from God: You are a daughter of the King of Heaven and Earth. I invite and warmly encourage women of the Archdiocese to come to the women’s conference this year to encounter and claim your identity as a daughter of the King. I assure you that when this becomes the foundation of your life, the fruits will be tremendous. The 2018 Catholic Women’s Conference “Daughters of the King” takes place on Saturday, October 27, 2018, 9 a.m. to 4 p.m. at the National Shrine of Our Lady of Czestochowa in Doylestown, Pa. The conference is expected to sell out in mid-September. More information and registration can be found at catholicwomensconference.org. 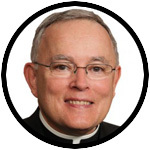 Thank you so much, Archbishop Chaput. I really needed this message TODAY!